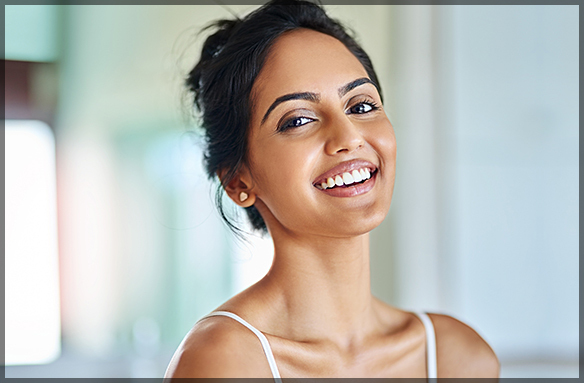 Cosmetic Dentistry is a process that can help improve the appearance of your teeth and smile. Dentists use advanced technology to enhance the aesthetics of your smile according to your needs. This can help increase your self-confidence as well as improve your overall oral health. Whether you have gaps in your teeth, broken or uneven teeth, or discolouration, all these problems can be solved using cosmetic dentistry procedures. As far as the treatment options are concerned, the alternatives include dental implants, crowns, gum lifts, veneers, and clear braces. If you feel embarrassed when smiling or laughing due to any problems associated with the appearance of your teeth, opting to straighten, replace, or whiten them can help you. Choosing the right method can also help increase your self-confidence. If you have a few teeth that are broken, uneven, or crooked, consider having them straightened using cosmetic dentistry. This can make cleaning your teeth quite easy and also help you prevent tooth decay. In addition to looking great, brushing and flossing your teeth will be more effective when you have straight teeth. Also, dental check-ups will be a lot quicker. If you have one or two teeth missing, it can become hard for you to talk and eat. Also, it can cause the existing teeth to shift, creating gaps between them. Dental implants are a permanent solution to this problem. They are durable and can enhance the look of your smile. Having a great smile can make you appear younger and happier. If you have a gap between your teeth but believe that you are too old to use braces that children usually wear, other options are also available. There are braces that are almost invisible and can help straighten your teeth without using wires, metal, or bands. Many people falsely believe that all cosmetic dentistry treatment options are complex and time-consuming. However, many procedures such as teeth whitening are fast and offer excellent results. Whether you are considering veneers or dental implants, you can expect the process to be easy and comfortable. Many people opt for cosmetic dentistry because the procedures can improve the appearance of their teeth and smile. With many options available, you can remedy almost any dental problem with simple and easy treatments. At Family Dental Care clinic, we care about your smile and oral hygiene. We have expert cosmetic dentists in Ottawa who can understand your needs and come up with the best possible solutions. Our team will review all the treatment options with you to ensure you know what the procedure entails and how it will help to improve the appearance of your teeth and smile. Whether you want to whiten your teeth or are looking for options to straighten them, we can help you. If you wish to change the look of your smile or teeth, get in touch with our dental consultants by calling 613-736-5000. You can also fill out our online form if you have any questions.